We hope that you will visit us soon to sample our fabulous selection of local wines. 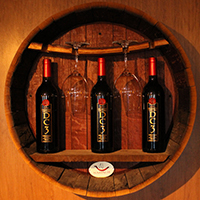 With close cooperation with famous Les Collines vineyard in Walla Walla we are able to produce our great wines. Well known for Bordeaux varietals, Syrah, Zinfandel, Tempranillo and other reds and whites – these top quality grapes are sourced year after year from the same location. This guaranties the purest expression of the “terroir”, the land and the climate. Born in to generations old winemaking family in the center of Europe, our history with wine goes back to Roman Empire. With our passion and old fashioned approach to winemaking, while utilizing newest techniques and research we are dedicated to crafting big robust red and aromatic white wines. 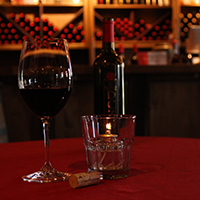 Open year around, our tasting room offers all season relaxing experience. 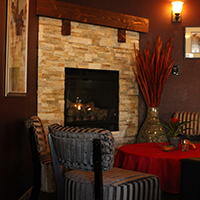 In colder months our fireplace seating provides comfort of home, shared with friends and great wines. Sunny, warm days can be enjoyed sitting on our adjacent patio, surrounded by fountains and flowers. Sought after by groups celebrating family events or businesses entertaining their clients, the tasting room is often in big demand. Reservations for groups of six or more are always recommended.